The CW’s Arrowverse is in the middle of filming this year’s gigantic Elseworlds three part crossover. ComicBook.com shared a few images taken by residents of Vancouver during filming. Tyler Hoechlin is seen in his new black Superman costume. The new images show not only the suit in great detail, but also Superman’s newest accessory. Superman’s black attire has similar style choices to his usual outfit. His cape clasps close to the crest, which leads the eye from his shoulders to the point of the shield. Subtle touches with his belt and boots prove that any man, even the Man of Steel, looks great in a classic black suit. Another post spotlights a fallen Superman. Elseworlds opens up every possibility, therefore we don’t know if this Superman is a hero or a villain. Either way, things don’t look too good for Smallville’s favorite son. In a final photo, Superman is shown reading a mysterious book. DC’s comic book universe has had many books of magic and mystery over the years. Upon closer look the texts are similar to what Barry Allen wrote when he was rescued from the Speed Force and appeared to have gone crazy. This could potentially be the connection between all Elseworlds. If the Speed Force is a natural phenomenon much like gravity, than it should exist in all worlds. Now, this might show that exists in different realities. Superman’s speed may allow him to tap into the Speed Force as well. The Elseworlds crossover will start with The Flash on Sunday, December 9. Arrow will continue the story on Monday, December 10, before it all comes to an end in Supergirl on Tuesday, December 11. 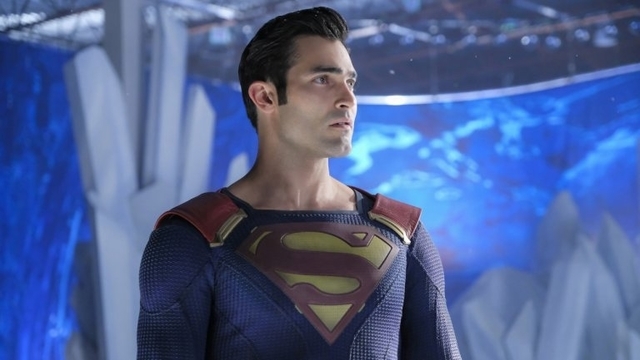 What do you think about Tyler Hoechlin’s black Superman suit? Let us know in the comment section below!